Celebrate the graduate in your life by creating cards, invitations, scrapbook pages and more. 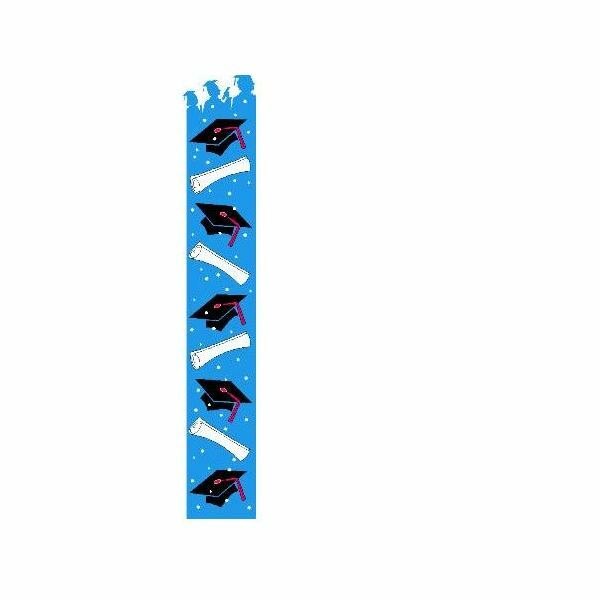 Here you will find graduation-theme borders that can be used for many things and different age groups. There are borders for kids graduating kindergarten, middle school, high school, and college graduates. 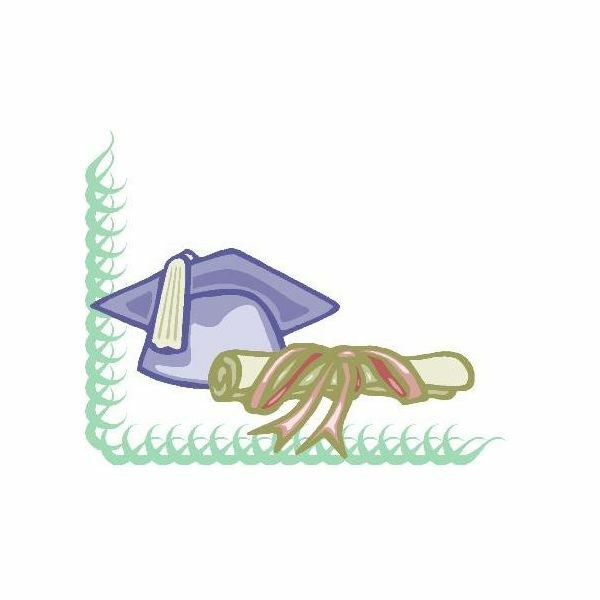 The first border in this list of free graduation borders is the Graduation Scroll Border. 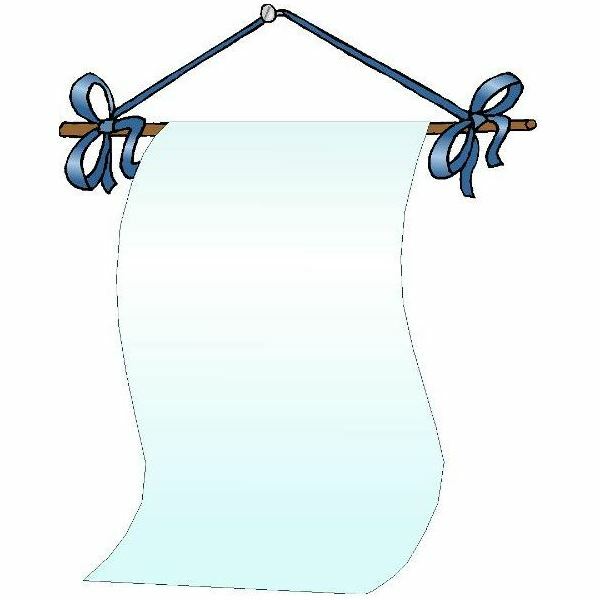 This border is a beautiful scroll hanging on a stick that is hung by a blue ribbon. It is a really nice border that you can do many things with. 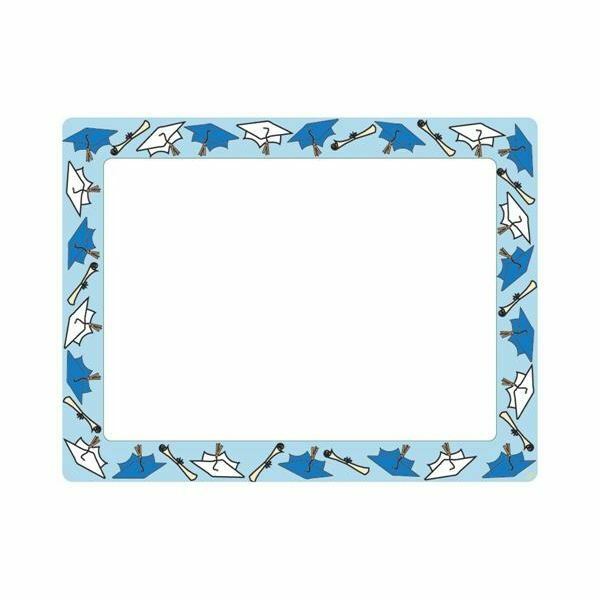 Some of the things you can do with this border is create graduation announcements, congratulation cards for graduators, mini scrapbooks and party invitations. To use this border, you will need to adjust photos, text or whatever you are placing on the border to make it fit. To adjust it, you will probably need to adjust it to an angle. 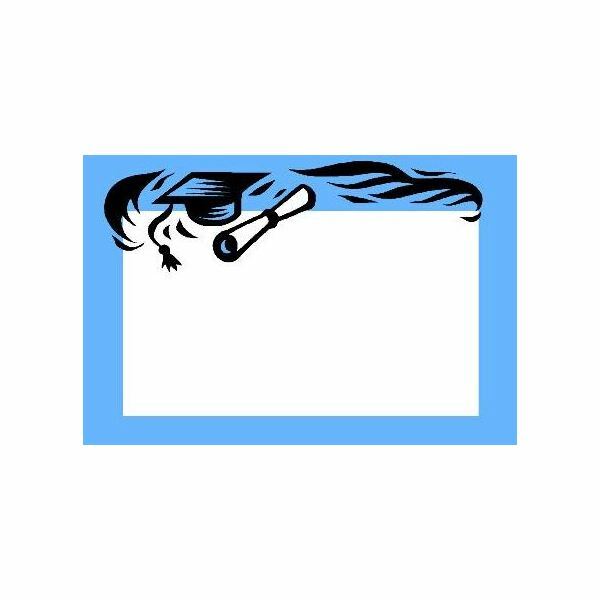 The next border in this list has a blue border with a white center. At the top of the border is a diploma and cap with a couple of drawings. This border is not very large, but you can make it larger by opening it in a graphic program. The border can be used as a greeting card, mini scrapbook page, placement cards or graduation announcements. If you are having a party after graduation, this would be a good border for party invitations. The next border is a crayon border. This border will work great with kindergarten graduation or preschool graduation. This border can be used to create invitations to the graduation, congrats cards, graduation scrapbook pages and a lot more. Since this is a younger child’s border, you might want to go with a child’s font to really top this border off. The next border has a light blue outline with diplomas and graduation caps. This border could work for younger kids on up to seniors. The border would make a great party invitation, graduation announcement, congrats card and a scrapbook page. This border will also work great as a preschool program for graduation. The next border in this list can be used for just about any graduation project. Some of the things you may want to consider using it for are graduation scrapbook pages, graduation announcements, graduation party invitations and greeting cards. This border gives you a lot of room to type what you need. At the top of the border is a graduation cap to give it that graduation look. The next border is a side border. This border will work great for email greeting cards, email invitations and email announcements. The border will work for all age groups from preschool on up to college. This border goes on the left side of the page and it has caps and diplomas in the border. At the top of the border are people. 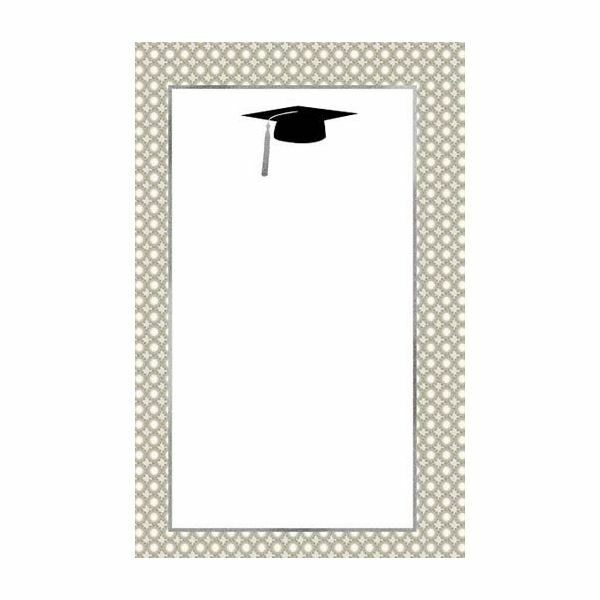 Why not add to this side border with some graduation clipart, to create your very own unique design. The next border in this list of free graduation borders is the pencil border. This border is better for preschool and kindergarten graduations. 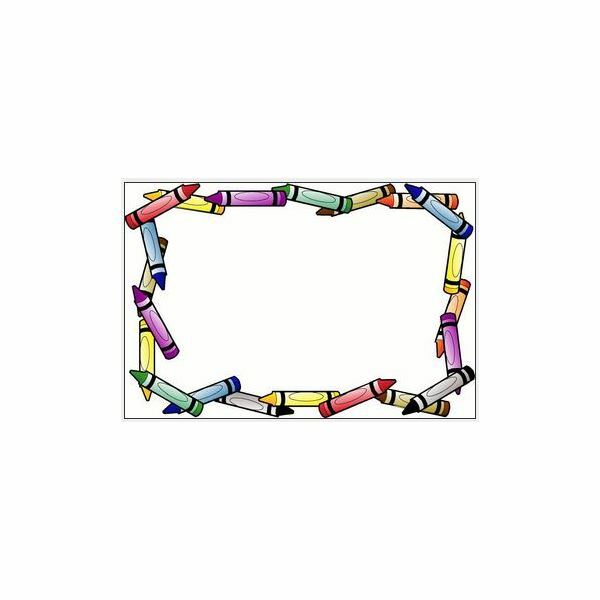 You can use this border for graduation invitations, scrapbook pages and preschool programs. The border is outlined with four pencils which makes it best for smaller children. The last border in this list is a corner border. In the left corner is a green swirl decoration for the outline. Then there is a blue graduation cap and a brown diploma to give it that graduation theme. This border will work for any kind of DTP project.